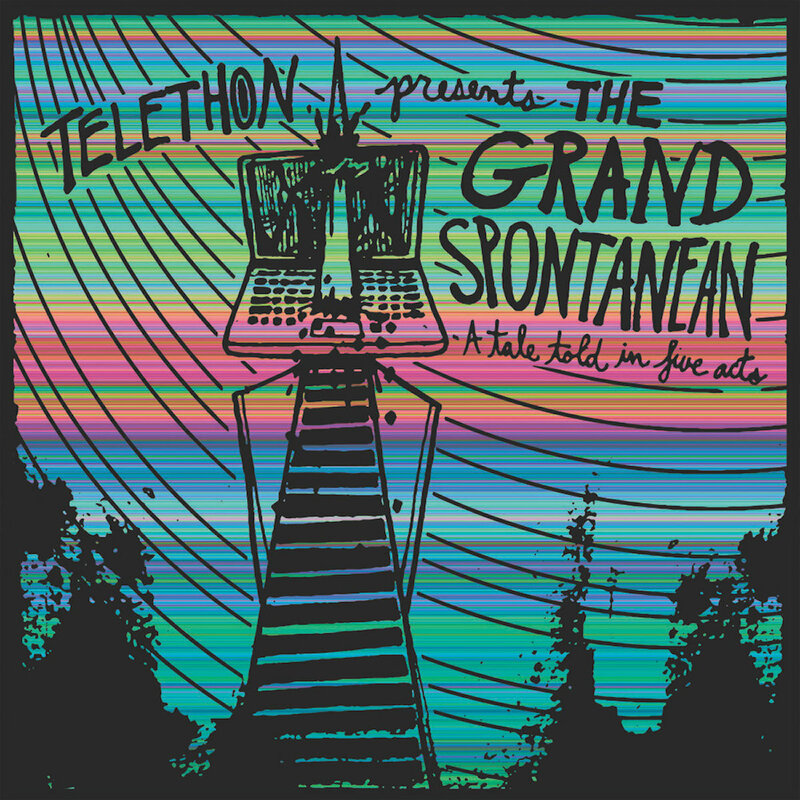 Last fall, the Milwaukee-based indie rock band Telethon released their ambitious third album, The Grand Spontanean. 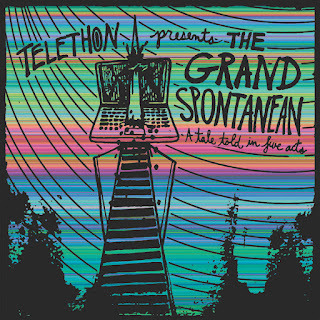 The truly epic 90-minute, 30-track conceptual album was produced by Jack Shirley (Deafheaven, Magic Bullets) and is constructed as a modern rock opera that incorporates catchy power-pop and anthemic emo-punk along with touches of ska, folk, country, heartland rock and Thin Lizzy-like classic rock, in a surprisingly cohesive blend. Lyrically, the “tale told in five acts” focuses on modern technology and the addiction and anxiety it brings with an apocalyptic flair. Guests that contributed to the album include, Laura Stevenson, Chris Farren, Franz Nicolay of The Hold Steady and Roger Lima of Less Than Jake. The album garnered great reviews upon its original digital-only release on Halloween Records and now fellow Milwaukee label, Good Land Records has just reissued the album on an equally ambitious 2-LP with bonus 7” set. Pressed onto sweet bubblegum pink, mint green and clear vinyl, The Grand Spontanean can now be enjoyed as it was intended.